As Iran braces itself to face fresh West-imposed sanctions, the country’s Interior Minister Mostafa Mohammad Najjar tells RT how the measures will do more harm to the West, than to Tehran itself. ­RT: We are talking several days after the EU introduced oil sanctions against Iran, and I know the Iranian leadership has responded by saying that the sanctions would do more harm to Europe than to Iran. Still, since Iran gets 70 per cent of its revenues from oil, do you have any fears about negative social reactions, including strikes, as people may lose their jobs? Do you take this somehow into account in your work? Mostafa Mohammad Najjar: These speculations aren’t new. Our country and our government are the power of the people. All Iran’s ruling bodies are in power as a result of popular voting. Therefore, our government and our authorities are completely popular, and our people have participated in all areas of our life from the very start of the revolution. Therefore, as I’ve said, there’s nothing new about these talks, which are actually quite outdated and irrelevant. Nonetheless, they keep speculating on this matter, trying to stir up psychological warfare inside our country, or in the countries of the region, or probably among people of their own countries – they have enough of their own problems – attempting to find someone else to blame for them. We don’t sell that much oil to Europe, and our European accounts don’t have that much money. RT: The US and the West as a whole do not conceal that one of the main tasks of these sanctions is to get prices for Iranian oil lower, thus decreasing the revenues from the oil Iran sells. Is the oil a tool used to manipulate the political situation? MMN: I believe they’ve made a big mistake, as this action results in turbulence for oil and energy markets. This very factor can result in oil price growth. In these conditions, the West should expect a drop in the euro rate and the euro market. This new decision will result in further economic problems which, as we can see, have affected them already. And so far they’ve been unable to find solutions. Oil and energy markets will experience instability and turmoil, and this factor can boost prices for oil and energy products, and jeopardize market security. This is quite difficult for the market which, going by previous experience, is used to consuming certain kinds of oil and energy. This also brings up technical and economic issues. At the same time, we’re not worried for Iran at all. We’ve ensured our efficient planning in advance, and, with God’s help, we will continue moving forward. The decisions taken today by the West unilaterally will result in escalation of their own economic problems. RT: Are Iranians nervous or anxious with the aggressive and military rhetoric being built up by the West? MMN: They aren’t. As I’ve said, these words aren’t new; these speculations have been going on for 30 years, and there’s no news in it for the Iranian people. The people of Iran are in charge, and they always participate in everything. We don’t sense any problems inside the country. RT: If I may, I would like to ask you about the recent killing of a nuclear scientist. There have been other similar cases, and as far as we understand, the investigation into this has not made great progress so far. Why have there been no substantial results, and who may be behind these killings? MMN: This is clear as day, and they admit it. The Mossad and the CIA, as well as some European security services, don’t like to see nations progress. They would like to have control and monopoly over everything. The great Iranian nation follows the path of searching for new technology. It wants to stand firmly on its feet by means of its own strengths, and produce its own knowledge. They disapprove of this progress, and they don’t want to see other nations develop themselves. The fact that they come over to such people’s homes, or attempt to murder an educated and broad-minded university professor, highlights the grave nature of their situation. 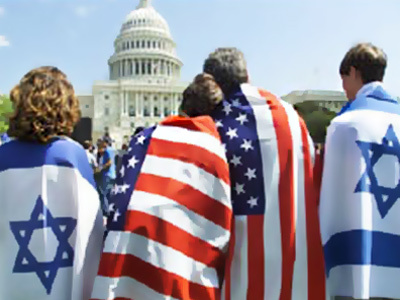 It demonstrates that the US and Israel have disgraced themselves in this matter. They speak of human rights, and at the same time, they officially perform terrorist attacks, and promote state terrorism expansion. In their slogans, we see their idle talk on fighting terrorism. Their deeds, however, do not match their words. They brought their troops to Afghanistan under the pretext of defending human rights and fighting terrorism and drug trafficking; but drug crops have increased 40-fold since the Americans got there. The number of casualties among innocent men, women and children has increased significantly, and so has the level of instability in the region. We actually witness terrorism development in the region. Drug mafia and drug-related revenues have grown as well. We see contradiction between their words and deeds. The scientist’s assassination will only make the Iranian people stronger, and more focused on their goal. People understand that they’ve chosen the right path, the one of scientific progress. The adversary doesn’t want to see this happen, as it would cause harm to them. Physical annihilation of people in full daylight is a sign of the adversary’s complete powerlessness and despair. RT: I know that Iran is having parliamentary elections in a month. In many countries, not only Arab ones, election may be used as a way to create provocations. There are always some people unhappy with election results, and this discontent may snowball. Are you concerned by this, that a similar scenario may unfold in Iran? MMN: No. Thank God, we’ve had 29 elections to date, and this election campaign will be our 30th election. And it will take place in absolute peace and security, like all the previous ones, because our dear fellow citizens in all the regions, all the cities and villages will willingly come to polling stations and cast their votes to designate their delegates to parliament to serve the purposes of development and prosperity for our country. RT: You know that RT has been comprehensively covering the situation in the Arab countries, as we have covered the wars in Libya and Syria. We often heard complaints from the leadership that the intelligence services of other countries have stepped up their operations on the territories of the countries concerned in the past year. There were many alleged mercenaries in Syria and Libya – we could see with our own eyes that some people were apparently not Libyans but fought on the side of the rebels. Can you see any increase in the operations of intelligence services from other countries or any attempts to penetrate your territory, at least in recent years, since the latest events in the Arab countries began? MMN: You see, foreign powers and other enemies are at work everywhere. They might also be present in our country. But we do not feel we should worry about this. Of course, we should look out for superpowers and our enemies attempting to interfere in the home affairs of Arabic countries, especially in Syria. And in all countries, where the people are in charge of running their nations, they must keep track of such attempts. RT: It’s been about a year since the Arab Spring began. 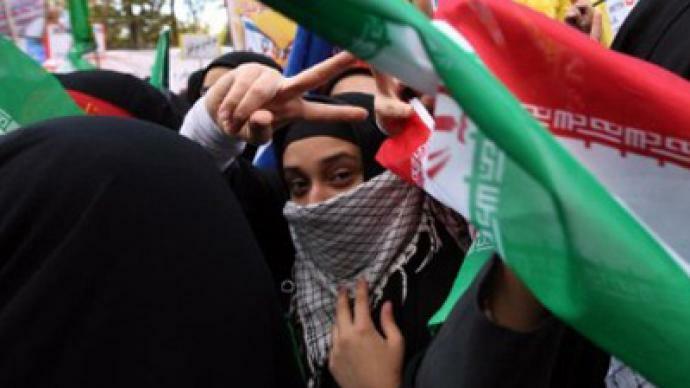 At first, even the Iranian leadership hailed the movements in Egypt and Libya as expressing democratic sentiments. Now that one year has passed, the attitude towards the events around your country has changed. Do you still believe those are people driven by their own democratic ideas or do you see a hand of other countries in the events of the Arab Spring? MMN: We support any popular movement, as long as people’s demands are legitimate. The imperialistic regime of world supremacy is obviously trying to lead people away from the right path and neutralize the popular movement, or transform it in favor of its own interests. The pure, straightforward and righteous path that people have been following in all countries of the region, however, is stipulated by their willingness to defend their rights, which is a legitimate demand from Iran’s viewpoint. RT: Can one say that the instability in the region has considerably increased the narcotic drugs trafficking? MMN: Yes, Afghanistan is certainly the focus of narcotic plantations now. The Americans and Europeans are there, and since they came, narcotic drugs production has increased 40-fold. And it’s a financial source for most terrorists who infringe the security of Central Asian states, the states of the region and Russia itself. It is a threat not only for Iran but for the region at large, and Russia. If Russia fails to keep an eye on what's going on next to its borders and around the country, this threat will most probably become a serious problem for Russia itself. 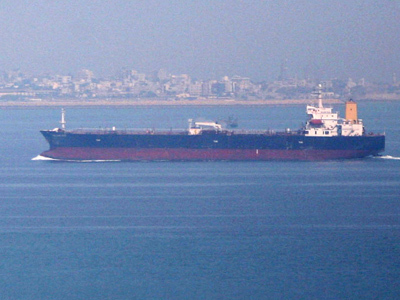 It’s a fact that both Iran and Russia host the main drugs trafficking route. We are at the beginning of it, because the drugs first penetrate our country, then follow to Turkey and then to Europe. On the other hand, Russia is also on the route, in its northern end, because the drugs penetrate Russia through Central Asia and then go to Europe. We suffer serious losses on this route. More than 3,700 lives have been lost in the attempt to resolve this issue. Given we, as humans, are convinced we have to go on with this ruthless battle, so as to save our people, and despite the fact that the world community does not lend us necessary assistance in this cause, we are alone to bear most financial costs and human losses in order to continue the struggle, shut down borders and blockade the territory inside the country, in order to prevent the trafficking. So it seems Iran and Russia will have to take responsibility for the problem themselves. RT: Preparing for this interview, several colleagues approached me at RT asking if there was going to be a war between Iran and the US. What is your answer? MMN: Let me say this again, all those fabrications are not new to us. The Islamic Republic of Iran is a strong power capable of defending its regional security fully. And the Iranian people, being a great and powerful nation, are not afraid of those futile threats. 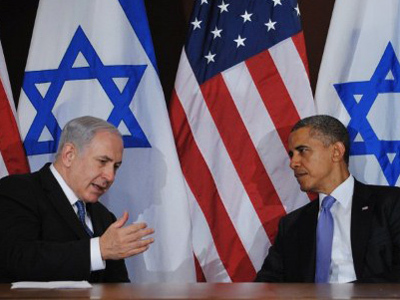 Israel ready to strike Iran without Washington's approval? 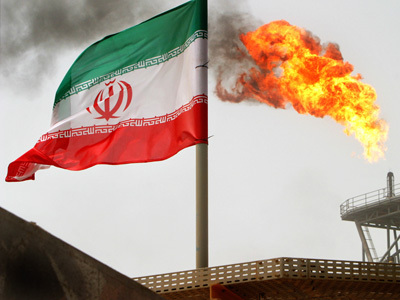 EU oil sanctions: Iran to get its retaliation in first?